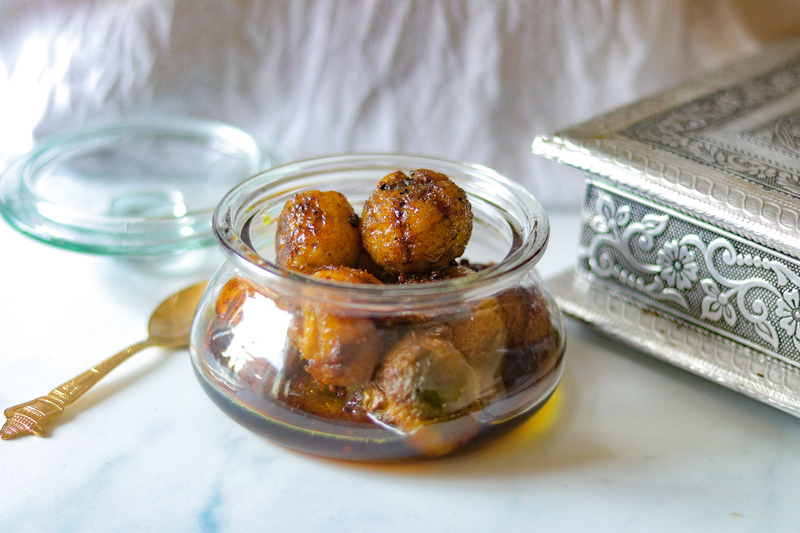 My obsession for gooseberries is making me try so many varieties of food using gooseberries. 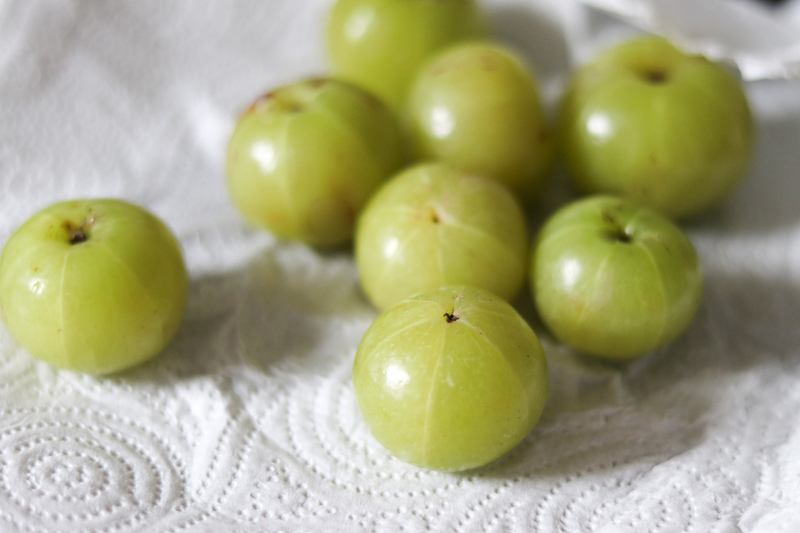 I tried gooseberry candies last year, and they turned out really nice. I still have some stocked in the fridge. At that time i could only get the british gooseberries and not the Indian ones. I was still on the look out for the indian gooseberries, and i finally managed to get some from my local Asian store last week. Indian goose berry holds a special place in indian ayurveda, and all parts of gooseberry are considered to have loads of medicinal value. Also known as Amla or amalaki , is a rejuvenating superfood. 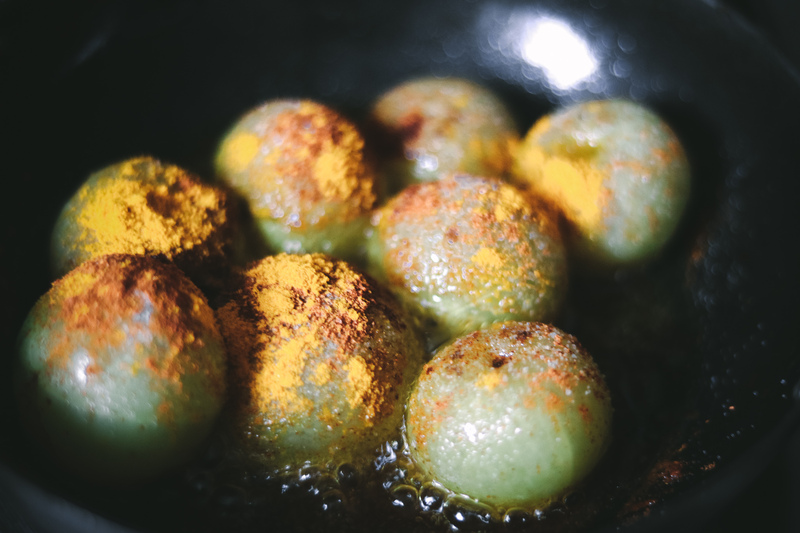 According to Ayurveda, regular consumption of amla balances all three doshas of the body- Vata, Pitta and Kapha. It is a common remedy in Indian households and widely used in Ayurvedic treatments. 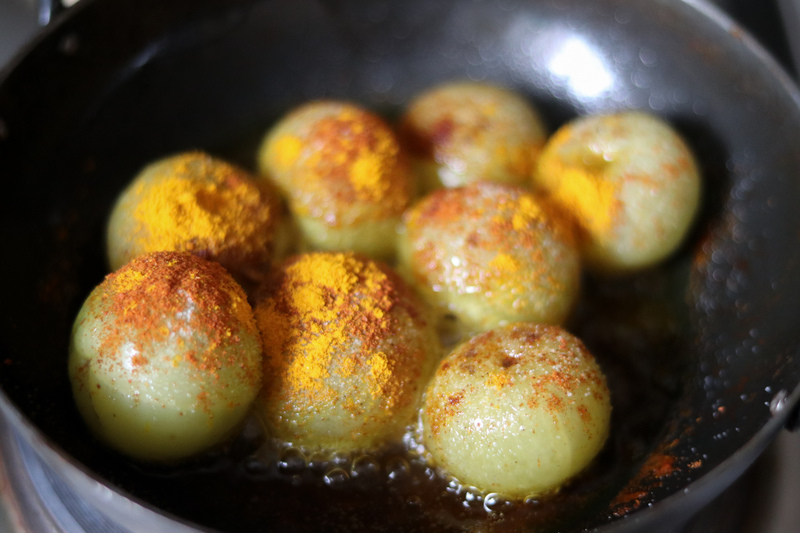 Indian gooseberry/ Amla is a powerhouse of nutrients – polyphenols, vitamin C, vitamin A, calcium, magnesium and iron. It has an incredible list of health benefits such as slowing down the ageing process, increasing immunity, balancing stomach acid, fortifying the liver, improves eyesight, aids weight loss, improves digestion, controlling hair fall, reducing dandruff and supporting the heart. So it is a very good idea to include Amla in your daily diet. There are a number of ways it can be added to your diet.As amla is really really tart, and sour, you cannot have it as is. 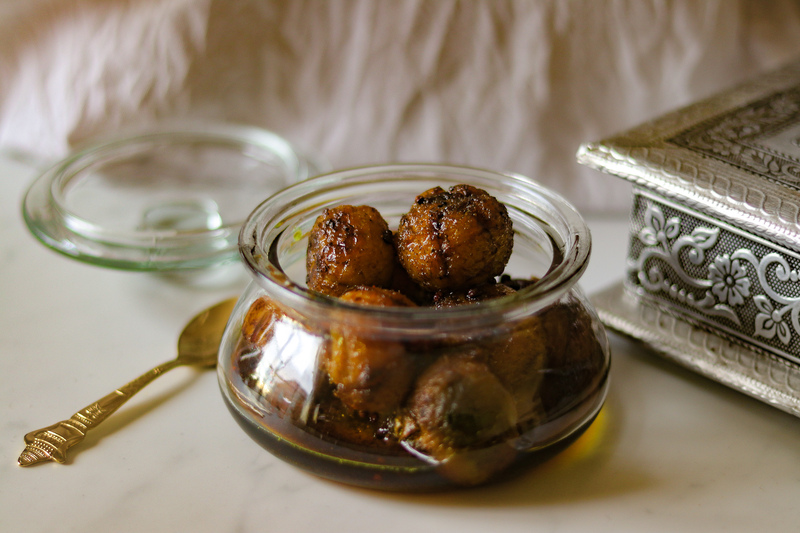 You can have it, in the form of dried candied amla, or as murabba (candied amla in sugar syrup), Amla tea, amla powder, amla chutney or as pickle. 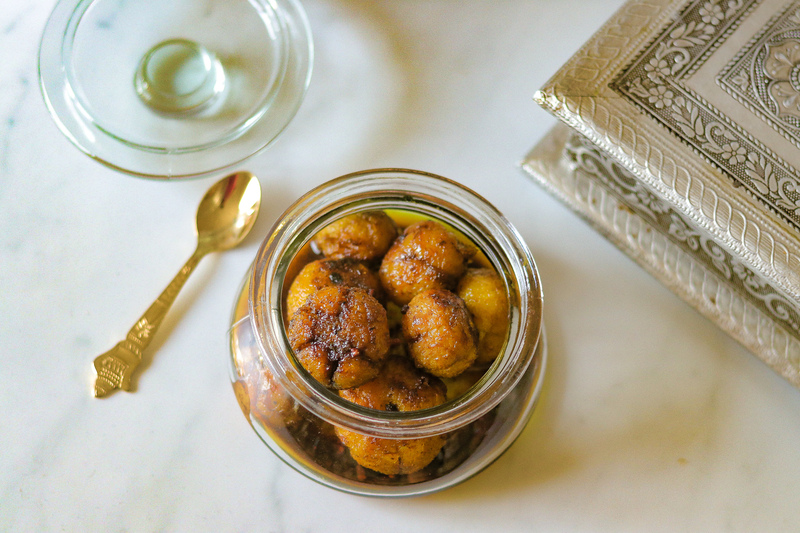 In india , gooseberry pickle is a staple side with indian street foods, and adds so much taste to any dish like chana bhatura, poori aloo, poori chana, and even kulcha chana. It is tangy, sour and spicy in taste and has loads of vitamin b12 and vitamin C.
This pickle is very quick and simple to cook. 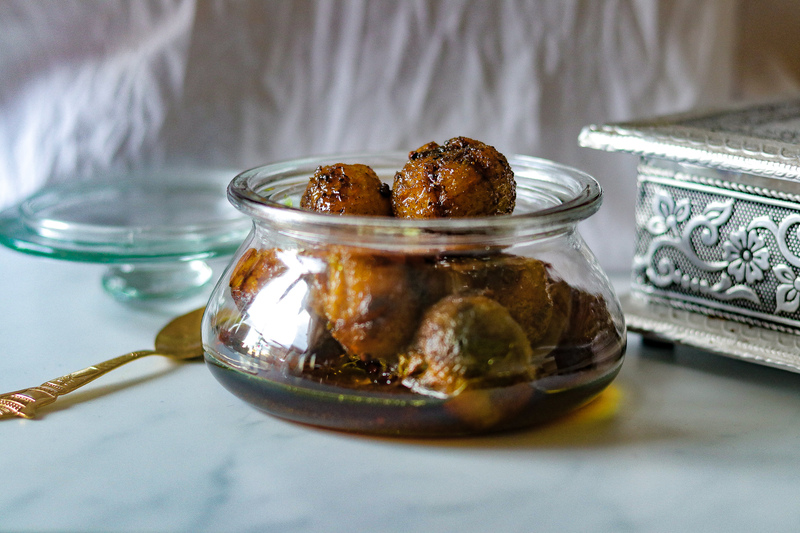 You can cook and store in a glass jar in refrigerator, for 3-4 days.If you want to keep this longer you need to add more oil, so that the gooseberries are all dipped in oil. I prefer the less oil version, and its so simple and quick to cook that ,I usually cook this pickle in small batches, and make more fresh pickle once the first batch is finished. 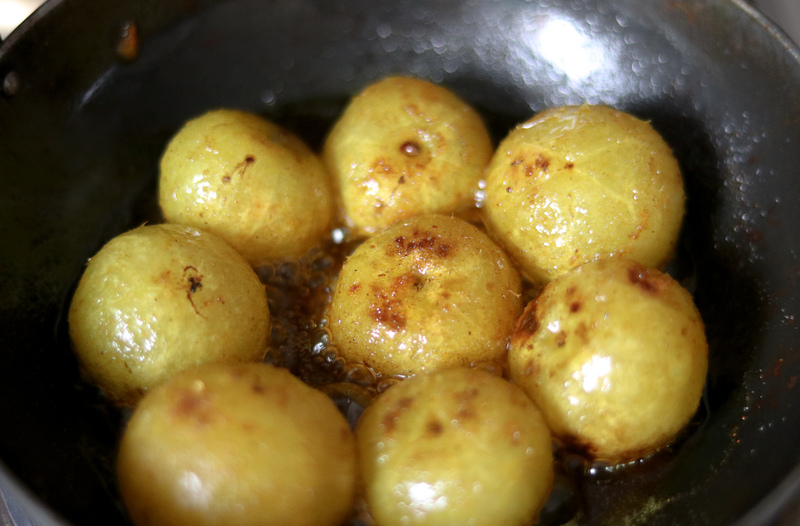 Make sure to use tart, fresh and firm gooseberries to make the pickle, so that it tastes perfect. 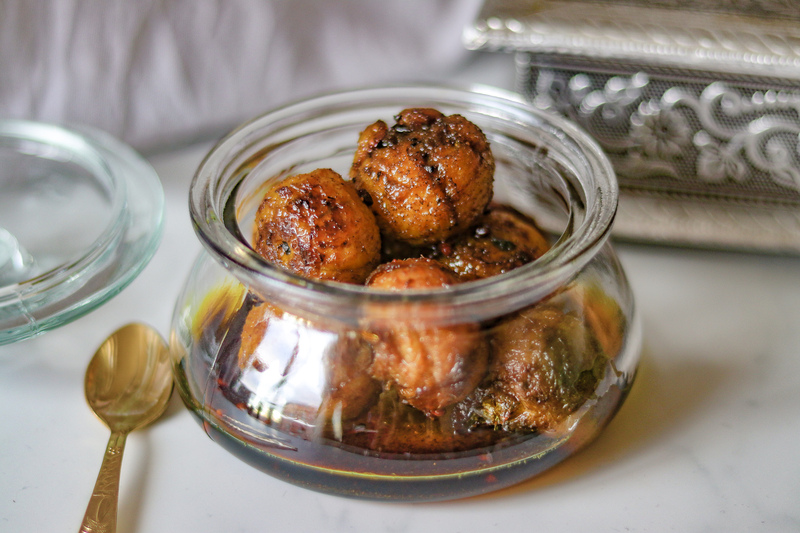 You would just need amlas, mustard oil, hing (asafoetida powder), methre (fenugreek seeds), salt, red chilli and turmeric powder to cook this pickle. I made this pickle using 8-10 gooseberries, and the quantities for rest of the ingredients are as per that. 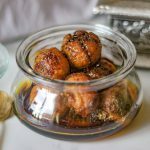 If you use more or less gooseberries, you can alter the quantities of the ingredients according to the number of gooseberries you are using. To start with, heat mustard oil to its smocking point. Once it reaches the smocking point, turn off the heat and let it get back to the frying temprature and add hing (asafoetida powder). Add fenugreek seeds. Stir and cook for 2-3 minutes till the fenugreek seeds turn little brown. Add washed and dried gooseberries.Mix well. Add salt (as per your taste). chilli powder and turmeric powder. Mix, and cover the pan. 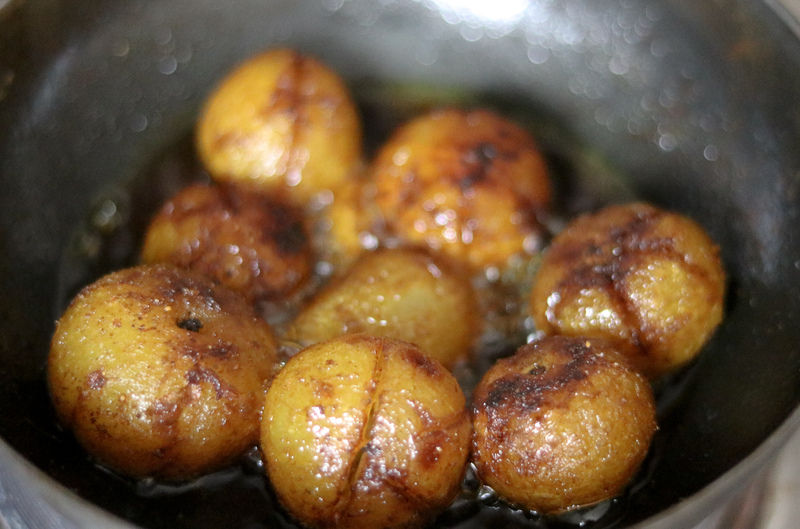 Let it heat on slow heat for 10-15 minutes, till the gooseberries start to getting tender, and start splitting. 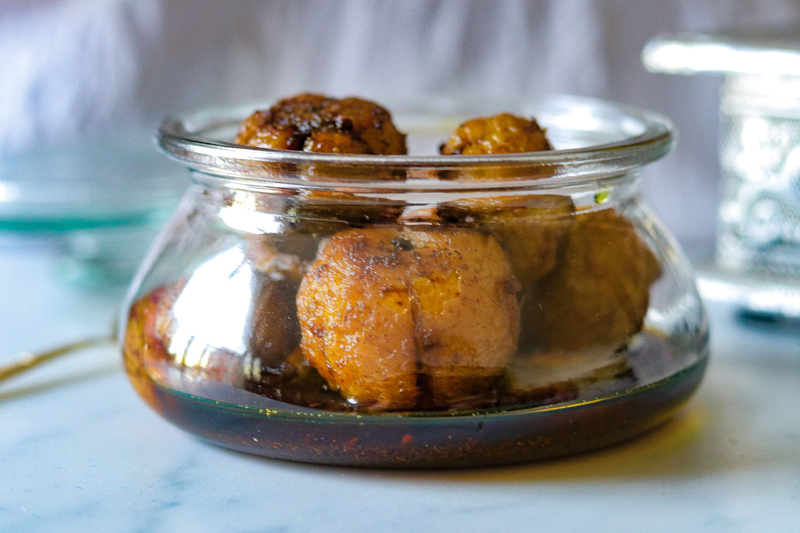 Let it cool and store in a sterilised glass jar and pair it with your meals everyday. If you try this recipe, please rate it by clicking the stars below. And don’t forget to like , share the recipe and tag us on Instagram or Facebook using #frombowltosoul if you like the recipe. Please Comment below for any queries, suggestions and ideas .I would love to hear from you. Heat mustard oil to its smocking point. Turn the heat to medium and add hing (asafoetida powder). Add fenugreek seeds. Stir and cook for 2-3 minutes till the fenugreek seeds turn little brown. Add washed and dried gooseberries.Mix well. Add salt (as per your taste). chilli powder and turmeric powder. Mix, and cover the pan. Let it heat on slow heat for 10-15 minutes, till the gooseberries start to getting tender, and start splitting.